A ballet dancer (*) by Degas through Luiz Gasparetto. The literature of psychic phenomena has many colorful types of mediumship manifestations, of mediums with amplified human skills. These were the ancient wizards of primordial times, the prophets of the Biblical past. All types of human manifestations are, in fact, possible through mediumship including highly specialized abilities such as music composition, poetry and painting (rarely called psychopictography). The most notorious example of music composition was Mrs. Rosemay Brown (1916-2001). In English speaking countries the poetic mediumship of Patience Worth (Braude, 2003) became very notorious. However, painting is also a registered feature of mediumshp phenomenology. Although both kinds of 'artistic mediumship' are extremely rare, when they occur, they offer us many clues about how the process of 'spirit interaction' with the medium takes place. A good example is the mediumship of Coral Polge. First we must understand that everything that is psychically produced makes use of what is on the medium's mind. Except perhaps for the case of Rosemary Brown (who said to receive music by dictation), all kinds of 'mental mediumship', depend to a high degree on the medium's skills and abilities. Everything happens as if the medium were a chisel, a brush, a pen or whatever tool that the spirit's mind uses to compose, write or paint. In this sense, if the medium is 'imperfect', no matter how much genius there is in the spirit, the final result will not resemble the work of a genius. Therefore, the quality of art produced by such mental mediums is a direct function of the training or previous ability that the medium has shown. L. Gasparetto in trace delivering a message (in Portuguese with a strong French accent) by Toulouse Lautrec on April 1981 during a painting seance. Some scenes of psychic painting are also shown. English subtitles were added. The pictures are done at an unusually high speed. The average for simple drawings was 4 minutes, more elaborate pictures took from 10 to 20 minutes. Some were done in 30 seconds. Not even a trained artist could produce work of such good quality so swiftly. 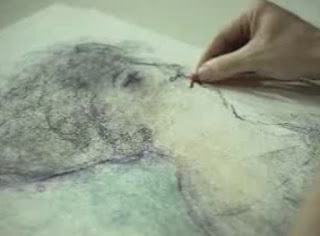 And Luiz Antônio is not a trained artist. While painting, the discarnate artist often talks with the person helping to hold the paper down. See the case of Portinari who describe what he was doing and the meaning of the picture. 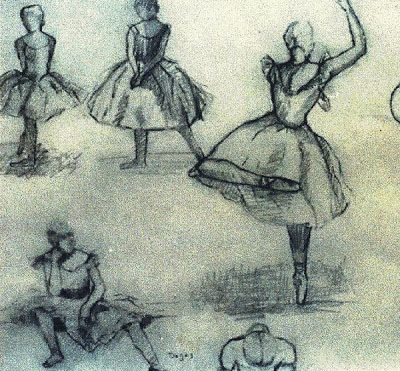 Some posing ballerinas (drawing) by Degas through L. Gasparetto. 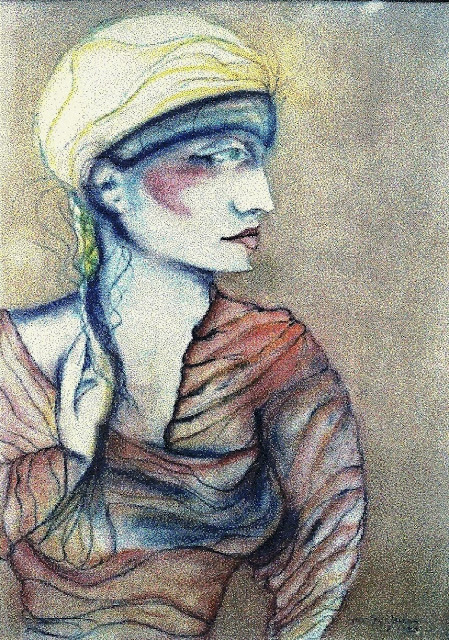 'Woman with a glowing head' (*), by A. Modigliani through L. Gasparetto (1983). Although the phenomenon is poorly understood (least to say, accepted) by mainstream science, it can not be denied nor invalidated by words. Rhetoric is incapable of 'erasing' such facts which will continue to exist, in spite of any academic disdain. Braude.S. (2003). "Immortal Remains: the evidence of life after death", Chapter 5, Rowman & Littelfield Pub., Plymouth, UK. Brown R. (1971). "Unfinished Symphonies: Voices from the Beyond". William Morrow; 1st US edition. Dubugras E. (1979). 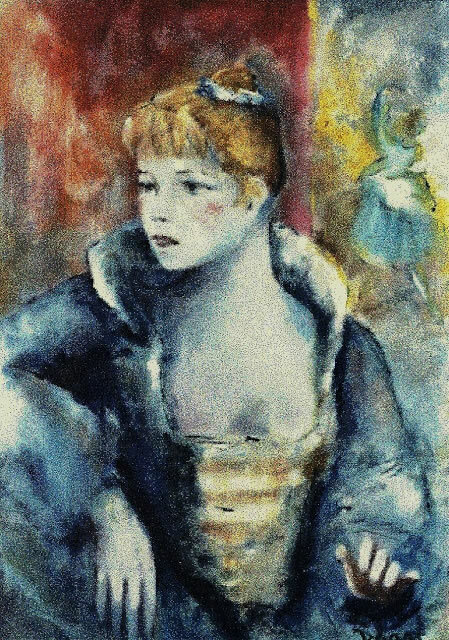 "Is that you, Renoir? ", 1st Edition in Portuguese/English by FEESP, São Paulo, Brazil. Kardec A. (1861). "The Book on Mediums", Transl. by A. Blackwell. 2nd. edition by FEB.
Oliveira, L. V. P. de. (2009) "Mediunidade e psicopictografia: reflexões preliminares acerca da pintura mediúnica"(Mediumship and psychography: preliminary remarks on mediumship painting). IN: Proa - Revista de Antropologia e Arte [on-line]. Year 01, vol. 01, n. 01, August. Available only in Portuguese at http://www.ifch.unicamp.br/proa/artigos/artigoluisa.htm. (*) All portrayed models represent discarnate entities.